So, hands up if you’ve missed Emre Can? In all honesty, we haven’t given it a second thought since the German decided to depart Liverpool on a Bosman free transfer and join Juventus. Firstly, we’ve been involved in a title race from basically the first week of the season – and bought a significant upgrade in Fabinho at the beginning of last summer. Can is going to win Serie A with Juve, but he’s actually only started 15 league games, and just one in the Champions League. He’s given an interview explaining his thought process about leaving Anfield – and made a comparison about what was expected of him at training under Jurgen Klopp and now Massimo Allegri. 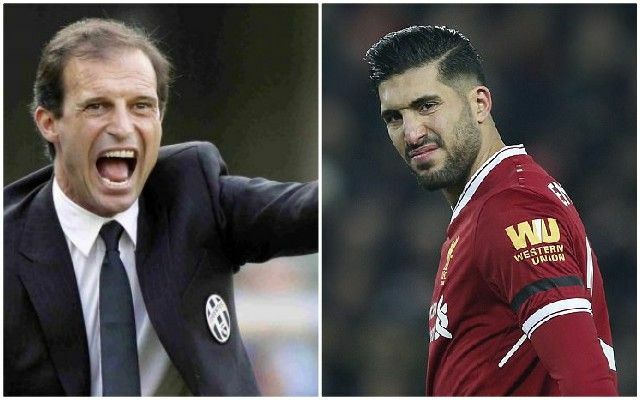 “I already complained to Jurgen Klopp about the hard training in Liverpool But the training here at Juventus is a bit tougher,” said Can, reported in the Metro. “We have to run even more, do more strength training. It was a big challenge for me at the beginning. But now my body has got used to it. “He was disappointed [Klopp]. He wanted me to stay in Liverpool, but accepted my decision. We hold no hard feelings towards Can, who always gave his all when he was at Liverpool. His performances were never consistent enough to warrant genuine grief about his departure, although he undeniably is a talented individual. We’re more than happy with our current roster, though – which includes Naby Keita (finally coming good), Gini Wijaldum (enjoying the best season of his LFC career), James Milner (evergreen), Jordan Henderson (captain and revitalised no.8), Fabinho (best no.6 we’ve had since Didi Hamann) and a returning Alex Oxlade-Chamberlain!